The St. Louis Cardinals are 3-and-8, their worst 11-game start to the season since the advent of the Wild Card era. Only the Toronto Blue Jays (2-and-9) carry a worse record than the Redbirds. After a disappointing finish that saw them fall just short of a playoff spot in 2016, this kind of start to the season is unacceptable. It’s time for general manager John Mozeliak to fire Mike Matheny. No one has been a bigger advocate of Matheny’s than me. When he was hired, I thought the decision was an inspired one, a chance to take a natural “leader of men” and develop him into a tactically sound manager. The result should have been the perfect blend of both worlds – a man others followed without reservation, and a manager who made the right calls to put his players in a position to win. Instead, Matheny soured on the job and hardened in unexpected ways. The once humble player who lived with conviction is now too stubborn to change, too wounded from his time on the hot seat to learn on the job. 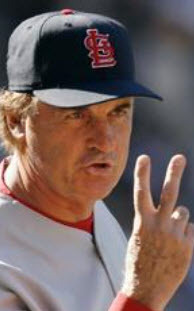 And if Mike Matheny is unwilling to learn, then it’s time for he and the Cardinals to go their separate ways. But that won’t happen. Not likely, anyway. Mozeliak and the front office will probably see things through, at least until the end of the season, and then reevaluate their options. In the meantime, here are five changes Mozeliak must demand from his all-but-lame-duck manager immediately. 5. Move Matt Carpenter to Number 2 in the Lineup. I’ve written about this before. Carpenter isn’t hitting like a number three. That’s probably because he’s not a number three hitter. Not really. Carpenter is at his best when he’s asked to see a lot of pitches, swing selectively, and get on base. That approach, at least to Carpenter, is antithetical to the purpose of the three-spot – driving in runs. And that perception is key to a hitter that can become obsessed with a specific outcome at the plate. We saw it years ago when he sat on 199 hits for days, unable to record 200 for one simple reason – he was pressing, consumed with getting that 200th hit. We’ve seen him struggle in the three-spot before, too, and the only solution was to return him to a more on-base-focused spot in the lineup. Matheny can do that now without unseating leadoff man Dexter Fowler. And with Fowler struggling with a sub-.250 on-base percentage, it’s the perfect time to take some of the pressure off the new center fielder by swapping Carpenter and Aledmys Diaz – the best hitter on the roster since Opening Day – in the lineup. 4. Give Dexter Fowler a Couple Days Off. 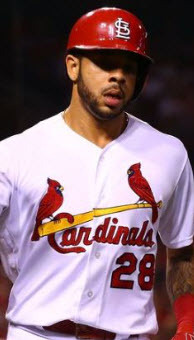 The new center field import has just six hits and four walks on the year for the St. Louis Cardinals. 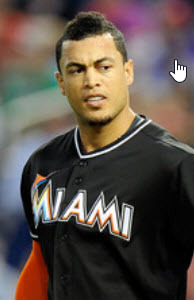 That’s four fewer hits-plus-walks than the switch-hitter’s 14 strikeouts on the year. Fowler has just one hit in his last 13 at-bats, and he hasn’t drawn a walk since April 8th. 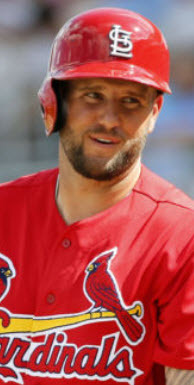 That’s a full week, six games, without a base on balls for the multi-million dollar leadoff hitter atop the Cardinals’ lineup. In the long run, Fowler will figure things out and get back on track, but with the pressures of a new contract in a new city, it’s probably a good idea to find a day or two where he can step back, reboot, and regain the bounce in his step. The Cardinals are going to need him igniting their offense very soon. 3. Bench Jhonny Peralta and Matt Adams. Honestly, Peralta should be released. The aging infielder is just 3-for-25 with two walks and nine strikeouts. All three hits are singles. The Cardinals have any number of right-handed hitters in Triple-A that could serve as more potent hitters, pinch-hit or otherwise. Patrick Wisdom and Tommy Pham are two that immediately come to mind. And in Wisdom’s case, he’s capable of playing a better third base than Peralta in the field with more raw power at the plate. When Peralta was leading the Cardinals in home runs, moving him to third base to keep his bat in the lineup made sense. That time is past, and keeping him in the lineup now is just criminal. Matt Adams, however, is an entirely different ordeal. The left-handed slugger still has value off the bench as a pinch hitter, but Mike Matheny continues to play the career first baseman in left field, effectively costing Randal Grichuk at-bats. Grichuk, by the way, is a left-fielder with center field ability whereas Adams is a converted first baseman with less than a month outfield experience. And at the plate, it’s no contest. 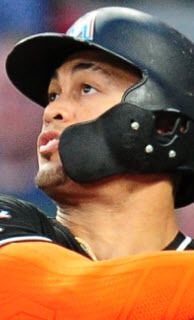 Grichuk’s two home runs, two doubles, and .400 slugging percentage have produced a .638 OPS, all of which dwarfs Adams .211 slugging percentage and .529 OPS. In fact, Matt Adams has zero extra base hits since the season started weeks ago. 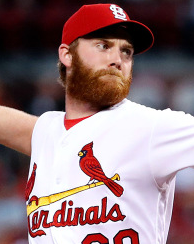 The Cardinals may believe, as I do, that Adams still has the ability to be an every day player some day, but it’s becoming painfully clear that it won’t happen in St. Louis. It’s safe to say he’s reached “change of scenery” status in his young career. 2. Play Jose Martinez and Greg Garcia. 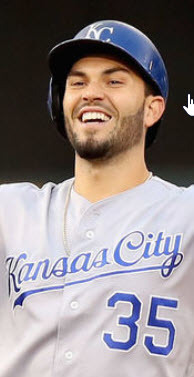 Martinez has done nothing but hit in his brief exposure to major-league pitching, going 6-for-12 with two doubles, two walks, and even an energizing pinch-hit double against fireballer Aroldis Chapman in the ninth inning of the Yankee game the other night. If Grichuk had been able to score on that hit, Martinez would have solved a reliever riddle that has eluded St. Louis for years. Despite the impressive numbers from Jose Martinez, however, Matheny continues to play Matt Adams in the outfield ahead of his right-handed outfielder. And Greg Garcia continues to occupy space in the same leaky doghouse as Martinez. 1. Start Jedd Gyorko at Third Base. Most fans have advocated for this since last season. I was one of those until recently when it became clear the Cardinals were, for some reason, wary of giving Gyorko an every day job. Usually when that’s the case, it’s because the team is concerned about over-exposure at the plate. Does Gyorko have a hole in his swing? Is that why San Diego moved him when they did, to unload his contract before the rest of the league found out? I don’t care anymore. He already has two home runs in part-time duty – the same as every day players Grichuk and Piscotty and more than number three hitter Carpenter (1). At this point, any thing he provides is more than Peralta appears capable of at the plate. Honorary Mention: Can someone please light a fire under Yadier Molina? 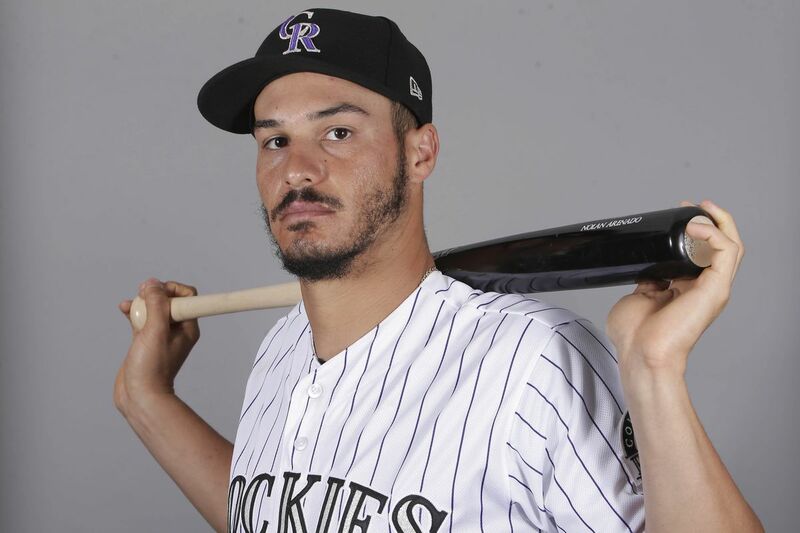 Stabbing at balls in the dirt, slashing .219/.308/.250. It sure seems like Molina was more excited to play for team Puerto Rico in the WBC than he is for his own St. Louis Cardinals, even with that shiny new contract. If only matheny would read your blog,Your ideas are solid and would give the cards a better chance to win.Alas to the rich and powerful the all mighty dollar is everything.The only thing a true cardinal fan can hope for is for everything to go back to the days of Auggie Busch and see the cardinals sold to a true fan instead of business pukes.The only reason matheny is even manager is because he lost a lot of money in real estate and was being sued.So I guess his friends in the front office thought giving him a job instead of a hand out would help both parties(boy were they wrong),and I bet they are too arrogant to admit they’re mistake and fire him. yea right bench adams….fire mozeliak and wong. Wong it the whole problem. MO will not bench wong because he gave him that big contract and won’t admit he was wrong so now Carpenter is all of a sudden a 1st baseman. He can’t play 1st…..now Adams is tearing it up for the Braves.